◊ Acts as your salesperson every day as we promote the Eden area. This includes maps, brochures, guides and directories that are readily available. ◊ Validates that you are an involved business, working to make Eden and Rockingham County a better place in which to work and live. ◊ Keeps you informed of monthly membership gatherings and other special events through weekly emails and the chamber’s monthly e-newsletter, The Voice of Business. ◊ Promotes our local travel industry through a partnership between the City of Eden Department of Tourism Development and the Rockingham County Partnership for Economic and Tourism Development. ◊ Conducts your training when we sponsor or partner to provide seminars and workshops addressing a host of employer-business related issues. ◊ Becomes your voice when needed to represent the business community on city, county and state issues. ◊ Helps impact your future by involving participants from an array of professions in many hours of planning and working to shape the future of the Eden area. ◊ Answers your mail and telephone by responding to thousands of letters and calls each year that ask about the Eden area. ◊ The Business Directory. This complimentary chamber magazine has an annual distribution of 1,500 copies. It provides valuable information on Eden and Rockingham County and is distributed to all chamber members, as well as to newcomers and out-of-town inquirers. ◊ Business Expo. Sponsored annually by the chamber, the Eden Business Expo has grown over the past five years becoming the premier marketing opportunity for businesses to showcase their products and services to thousands of Eden and surrounding area decision makers. ◊ Monthly Membership Coffees. These monthly coffees bring members together in various business locations to help members develop new business contacts and prospects and highlight a chamber business location. ◊ The Voice of Business. 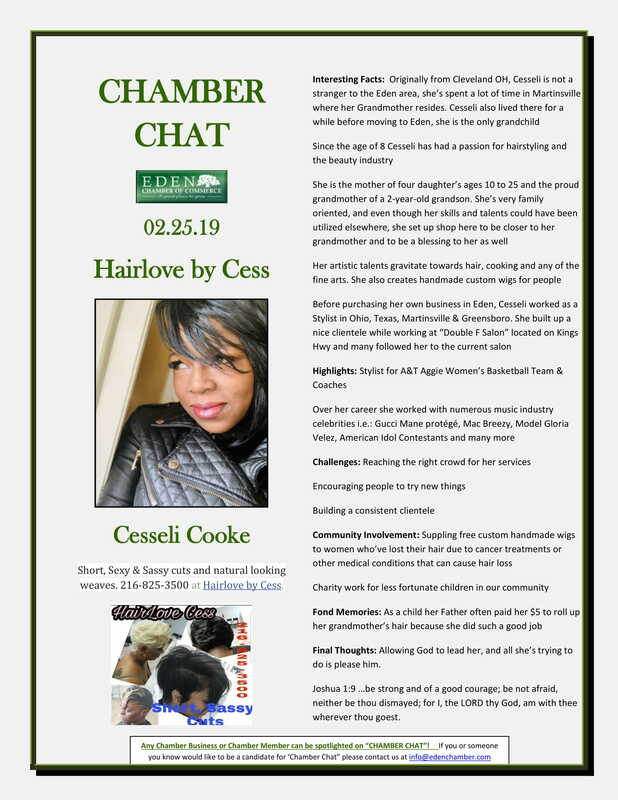 This monthly chamber e-newsletter is emailed to over 550 area businesses. 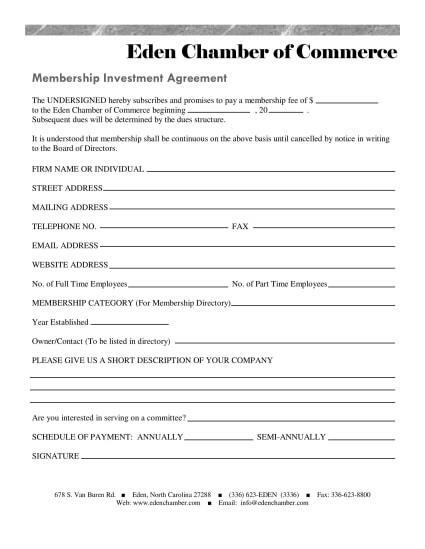 It provides information on chamber activities, community issues and topics of interest to the business sector. ◊ After 5 events. Because chamber members want to develop even more new business contacts and prospects, the chamber developed this great after-hours networking venue. Members gather at different host locations to relax in an informal setting while enjoying great food from local restaurants and caterers. ◊ Visitors Services. 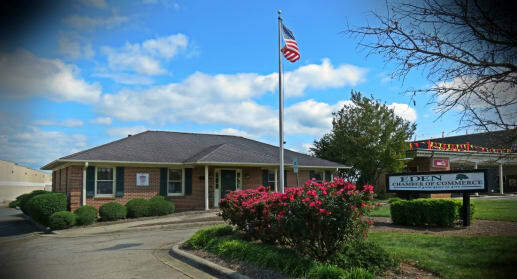 The Eden Chamber of Commerce serves as a catalyst to meet the needs of visitors and potential newcomers touring our area. We serve the public through a working relationship between the City of Eden’s Business Development and the Rockingham County Partnership for Economic and Tourism Development to develop, promote and stimulate the local economy. ◊ Referral Services. 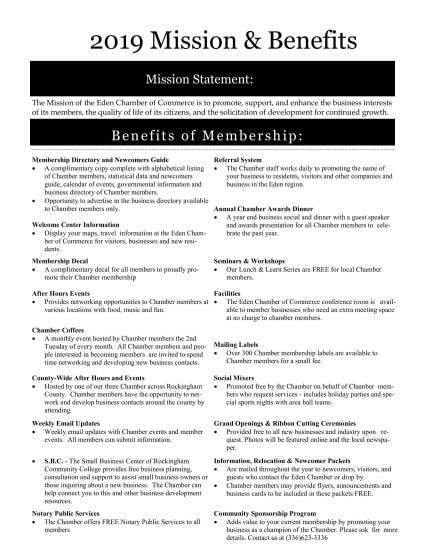 The chamber serves as an extended marketing team for member businesses. The numerous daily requests for information on products, services or vendors are referred exclusively to chamber members. 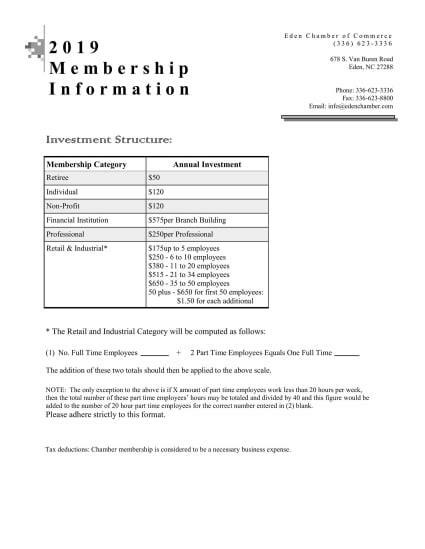 ◊ Small Business Assistance/Training. The chamber partners with the Small Business Center of Rockingham Community College along with the Rockingham County Business & Technology Center to provide several workshops and seminars during the year to help assist small businesses. ◊ Identification. Your business can proudly display your membership door/window static in this united business effort. ◊ Groundbreakings/Grand Openings/Ribbon Cuttings. The chamber stands ready to assist members with groundbreakings or grand opening celebrations by providing a ribbon-cutting ceremony for new or newly expanded businesses. Photographs are distributed to the local media for print.